Water sport is one of the many attractions that Dubai holds within itself. It has a beautiful shoreline which is the reason why it should be your destination in mind when you want to learn scuba diving. The water is warm and the sun shines all through the year making the climate an excellent factor condition for scuba diving. Learn the sport here or practice it, the city has ample facilities to make sporting dreams like this one come true. Get the gear out, join a class and hit the water with our step by step guide below. Al Boom diving center: It is the most famous one with branches at five locations including The Aqua Centre at Al Wasl Road, The Dive Centre in Atlantis The Palm, The Dive Centre in Jebel Ali Golf Resort & Spa and The Dive Centre in Dubai Aquarium & Underwater Zoo. The headquarter is at Al Quoz. The center is PADI certified with highly qualified trainers who guide you from basic to professional scuba diving levels. The center is open all through the week. 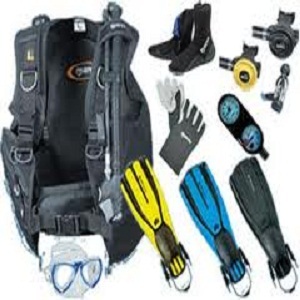 The diving center also has an equipment shop with high quality diving products. Easy Divers: Located on Emirates hill, it is another prestigious name which provides PADI training and certification. So if you are a beginner or working towards a professional certification, Easy divers could turn out to be a very good choice. 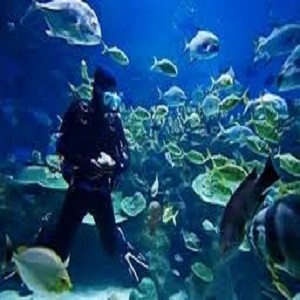 Pavilion Dive center at Jumeirah beach hotel: The diving center offers an exotic experience. It starts with basic courses and goes up to specialty courses like PADI and Trainer courses. The trainers are all friendly and qualified and the center is one of the best being an accredited PADI 5 Star Career Development Centre and National Geographic Centre. Most training centers will provide you with their own equipment but you will be expected to bring your own swim suit and towel. However, if you want to buy your own equipment, then Al Boom diving center has a retail outlet where you can buy diving equipment. They also have an online shop where you can purchase through your credit card. Now you are ready to learn.